MystereBooks is pleased to feature a mystery title that is currently available as a NookBook for free from Barnes&Noble. We don't know how long it will be offered at this special price (typically only until a certain number of downloads have been completed), so download it today! About Carved in Bone (from the publisher): On the campus of the University of Tennessee lies a patch of ground unlike any in the world. The "Body Farm" is a place where human corpses are left to the elements, and every manner of decay is fully explored -- for the sake of science and the cause of justice. The scientist who created the Body Farm has broken cold cases and revolutionized forensics, and now, in this heart-stopping novel, he spins an astonishing tale inspired by his own experiences. 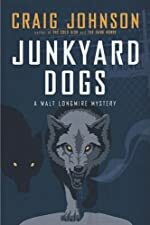 MystereBooks is pleased to feature a mystery title that is currently available in Kindle eBook format for free from Amazon.com. We don't know how long it will be offered at this special price (typically only until a certain number of downloads have been completed), so download it today! 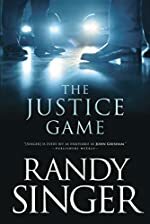 About The Justice Game (from the publisher): After the target of an investigative report storms a Virginia Beach television station, he kills one of the anchors before the SWAT team takes him down. Following the victim’s funeral, her family files a lawsuit against the gun company who manufactured the killer’s weapon of choice. The lawyers for the plaintiff and defendant—Kelly Starling and Jason Noble—are young, charismatic, and successful. They’re also easy blackmail targets, both harboring a personal secret so devastating it could destroy their careers. Millions of dollars—and more than a few lives—are at stake. But as Kelly and Jason battle each other, they discover that the real fight is with unseen forces intent on controlling them both. Read the first chapters of The Justice Game below. A list of the top 15 mystery hardcover bestsellers for the week ending December 31st, 2010 has been posted on the Hidden Staircase Mystery Books website. Though there is no change in the top 12, with The Girl Who Kicked the Hornet's Nest by Stieg Larsson continuing its dominance on the chart, a new title enters the list this week. 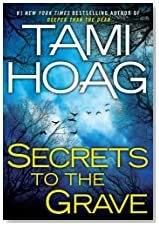 In 13th position is the second thriller to feature Sheriff's Detective Tony Mendez and teacher-turned-child advocate Anne Leone, Secrets to the Grave by Tami Hoag. 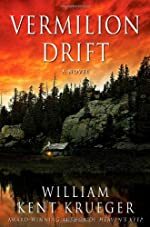 When Marissa is found brutally murdered, with her young daughter, Haley, resting her head on her mother's bloody breast, she sends the idyllic California town of Oak Knoll into a tailspin. Already on edge with the upcoming trial of the See-No-Evil killer, residents are shocked by reports of the crime scene, which might not have been discovered for days had it not been for a chilling 911 call: a small child's voice saying, "My daddy hurt my mommy." Tony Mendez faces a puzzle with nothing but pieces that won't fit. To assist with his witness, Haley, he calls Anne Leone. Anne's life is hectic enough -- she's a newlywed and a part-time student in child psychology, and she's the star witness in the See-No-Evil trial. But one look at Haley, alone and terrified, and Anne's heart is stolen. As Tony and Anne begin to peel back the layers of Marissa Fordham's life, they find a clue fragment here, another there. 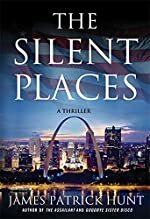 And just when it seems Marissa has taken her secrets to the grave, they uncover a fact that puts Anne and Haley directly in the sights of a killer: Marissa Fordham never existed. Earlier today we reported that Brad Pitt will be starring in a film adaptation of Cogan's Trade to be set in New Orleans. Now we learn that another adaptation will be filmed in the Crescent City: Meeting Evil. Scene Louisiana is reporting that Samuel L. Jackson, Luke Wilson and Leslie Bibb have been cast in the noir thriller, based on the 1992 novel by Thomas Berger. Filming is set to begin next month. 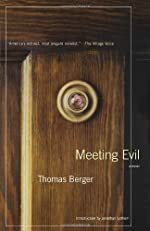 In the book, John Felton (Luke Wilson) meets evil late one Monday morning when the doorbell rings. Standing on the front porch is a stranger. He wears expensive running shoes and a baseball cap and calls himself Richie (Samuel L. Jackson). He tells John his car has stalled and asks for help. An altercation at the gas station leads to a shocking crime as violence begets violence. At the end of this harrowing day, John returns home to find Richie ensconced in his living room, chatting up his wife (Leslie Bibb). The evil has somehow seeped into his life. Thus begins the transformation of an unremarkable husband and father of two into a desperate man willing to go to any length to protect his family from the darkness that threatens them. Last month we reported that Brad Pitt had signed on to play mob enforcer Jackie Cogan in a film adaptation of George V. Higgins' 1974 crime novel Cogan's Trade. The film was widely expected to be set in Boston (the setting for the book), but now Scene Louisiana is reporting that Pitt and company will shoot the film in New Orleans (where the actor maintains a residence). Andrew Dominik will direct his own screenplay adaptation, with location filming expected to begin next March. Pitt's co-stars haven't yet been announced, but the article states the ensemble cast may include Casey Affleck, Josh Brolin, Javier Bardem, Bill Murray, Mark Ruffalo, Sam Rockwell and Zoe Saldana. Can you solve a 19th century murder? You take on the role of Dana Knightstone, an up-and-coming novelist. While on vacation in Scotland, you are haunted by the ghost of David, a working-class painter in love with a rich heiress -- until he was killed at Fairing Point! Uncover history as you travel across Europe to investigate David's mysterious death. Solve clever puzzles and follow the ghost's trail in this fun hidden object puzzle adventure game. This is a special Collector's Edition with features not found in the standard version, including bonus gameplay and an integrated strategy guide. 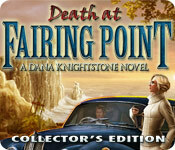 Death at Fairing Point: A Dana Knightstone Novel (Collector's Edition) may be downloaded and purchased for $13.99 with a Big Fish Game Club membership. A demonstration version (250.85 MB) may be downloaded and played for free for one hour. Don't Sweat the Small Stuff by Don Bruns. A James Lessor and Skip Moore Mystery. 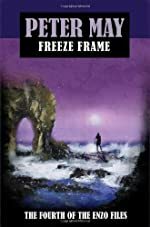 Oceanview Publishing Hardcover, December 2010. The carnival setting in this well-plotted mystery, with its cast of unusual characters, creates both a colorful and mysterious background for their investigation, which has more than its fair share of red herrings and plot twists. Read the full text of our review at Mysterious Reviews: Don't Sweat the Small Stuff by Don Bruns. Read the first chapters of Don't Sweat the Small Stuff below. 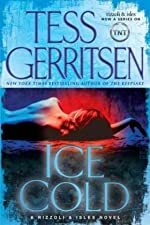 As 2010 draws to a close, it's time to again review (as it were) my list of the best mysteries, suspense novels, and thrillers that I read and reviewed during the year. Titles are listed alphabetically by author. 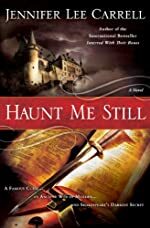 This literary mystery has it all: a terrific link to a real literary figure (William Shakespeare), an atmospheric setting (a remote Scottish castle), an occult-themed plot, and a captivating lead character (Kate Stanley, her second appearance marred only by a mildly annoying on-again, off-again romantic relationship with a somewhat unlikeable security consultant). "[T]hose readers who shunned Shakespeare in school" will delight in this fast-paced, enjoyable mystery. Long time readers of my reviews probably know that I infrequently rate first novels very highly. To me, new authors typically try to accomplish too much with their debut: introduce a memorable lead character, develop an interesting supporting cast that aren't caricatures, come up with an unusual crime to solve, and create a credible plot to connect everything together. But this winner of the 2009 St. Martin's Minotaur/Mystery Writers of America First Crime Novel contest succeeds on all levels. My only quibble with it is that it is written in first person present tense, a style I really don't like. This unusual, literary-style novel offers a unique spin on the standard police procedural. There aren't many elements to the plot, yet I was constantly intrigued by how the various pieces came together, often in ways that surprised me. 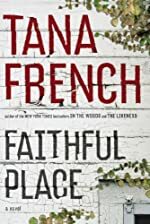 I concluded by review by saying, "With a cast of memorable characters and an intriguing plotline, Faithful Place will certainly be remembered as among the best suspense novels to be published this year." And indeed it has, appearing on many other "Best of 2010" lists. I generally appreciate when an author takes a temporary detour with their series characters, this thriller being an exceptional example of such. I was enthralled with the storyline, how it developed and how it ended: "The last few chapters offer an incredible -- and completely unexpected -- explanation as to what really happened to Maura Isles while she was missing." As there is little in the way of character introduction, this is not the best book for new readers of the series, though it can certainly be read as a stand-alone. 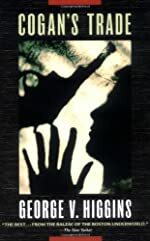 This "exceptionally well-crafted suspense novel" is more character-driven than plot-driven, but both contribute to its success as a hunter and prey story, related from both perspectives. "A mutual respect ultimately develops between [homicide detective] Hastings and [escaped prisoner] Reese, one that adds depth to the story; when they finally meet face to face, the moment is rather bittersweet." 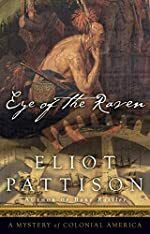 I'm not usually a fan of omniscient narratives, but did say that "[t]hough the reader is cognizant to all the proceedings, the cat-and-mouse aspect is nicely played out, the author maintaining a high level of tension throughout." This multi-faceted thriller works on many levels. What probably surprised me most was that much of what I believed to be the "mystery" was revealed early in the book -- too early I thought while reading -- and yet the plot continued to develop in unexpected and surprising ways. 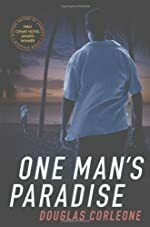 I concluded my review by saying, "With its intricate plot and richly drawn characters, this is truly a superior novel of suspense, and not one to be missed." Forensic scientist Enzo Macleod is now more than half-way through his seven unsolved, cold case crimes in this outstanding "little island mystery" set off the coast of France. I was thoroughly entertained, saying in my review, "The puzzle is intricate, the investigation and observational deductive reasoning by Enzo flawless." I rated the first book in the series, Extraordinary People among the best I read in 2006, but I think this entry may be better. 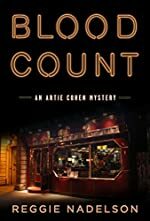 This ninth mystery in the Artie Cohen series "is a superb example of an intricately crafted, multi-layered novel," one that generates suspense from many directions. A whodunit to be sure, but the thrill for me was in following Cohen as he determines the whydunit. The atmospheric setting adds to the mystery: "Much of the action takes place in the once graceful, now somewhat decrepit and often dimly lit Harlem apartment building, adding a claustrophobic feel to the story. That Cohen is acting in a gray area of the law -- he's not officially authorized to be where he is -- also heightens the suspense." 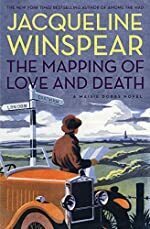 I greatly enjoy the Maisie Dobbs mysteries, and this seventh entry is not only typical of the series, but one of its best. I said in my review, "Winspear's narrative has a mesmerizing, almost lyrical, tone to it. Though the plot moves along swiftly, [this] is not a fast-reading novel; the expressive descriptions of people and places and the intricately detailed plot almost demand close attention. But it is Maisie herself that commands center stage, with her intuitive, yet perceptive, approach to her investigation."